I have been working extra hours on some of the advanced features of our property search tool lately, and during these times I continue to discovery key mistakes being made by the listing agents hired to sell a home. In case the term "listing agent" is new to you, it simply is real estate industry jargon used to define which salesperson procured the agreement from a homeowner who wants to put a house on the market for sale. So if a seller meets with agent "Mary" and chooses to hire Mary for the job of selling their home, then Mary is said to be the listing agent for that seller's home. We often cite the fact that 64% of home seller's hire the first agent that they interview. This means they do not take the time to find the best marketing plan for a Tallahassee home, they typically just hire the first person who tells them what they think they want to hear. With this lack of research and preparation, it should be no surprise that so many home sellers either fail to sell their home, or worse, get far less for their home than it is worth. So how does hiring the wrong real estate listing agent hurt your chances to get top dollar for your home? Here's four examples that I've run across in just the past week from current real estate listings in the Tallahassee MLS that include listing agent mistakes that will likely cost the homeowners money. Pictures of the home do not do it justice - The Tallahassee MLS can hold 25 pictures, and every listing should have all 25 filled up. Studies show that properties with more pictures get more views online, and it's these online views that are the precursor to gaining visits to the property by ready buyers. Furthermore, the images utilized should "sell" the features and benefits of the portion of the home shown. So often, listing agents do not seem to have an agenda with the pictures they choose to include. For example, why on earth a listing agent would include the image on the right? It happens far more often than you might expect. Typographical errors in critical property descriptions - Listing agent sloppiness costs home sellers more money than they will ever know. Many real estate agents do not understand how technology works, and that means it likely works against them. For example, the "subdivision" field in the Tallahassee MLS is a text-based field that allows the listing agent to tell the world the name of the neighborhood where the home resides. Most fill it out correctly, but about 10% of the listing agents have more information or typographical errors than this field should contain. For example, I have seen agents use "Godlen Eagle, Golden Eagle, Golden Eagle Plantation, Golden Eagle VI" as subdivision entries for homes found in Golden Eagle Plantation in Tallahassee. So any website that is set to show homes that exist in Golden Eagle Plantation will omit the ones that have any other spelling of the subdivision. This small typo in just one MLS entry field will cost a seller a fortune if a ready buyer does not know the home is available because it does not show up in a property search. Incorrect geocoding (longitude and latitude) for property mapping - One small typo in the longitude or lattitude entry field means your home might not show up in the proper place on the wildly popular map based property search tools. Just last week, I saw a home that was listed for sale in Southwood not appear within the community boundaries, it showed up on the SW side of town ... oops. Just a tyop Mr. and Mrs. Seller, sorry nobody wants to see your home. Failure to select "yes" for internet syndication - This one is a very typical oversight among real estate listing agents. They forget to "tell" the MLS to allow their listing to be broadcast to the thousands of websites that use an IDX feed to market their home. Often times, an agent or customer will say something like "hey, I can't find 1234 Main Street on your site, I know the home is for sale." More often than not, it's because the listing agent failed to select "yes" to the internet syndication option in the Tallahassee MLS. So what does this mean? Your home is not visible on the internet on the sites most likely to have a ready buyer for your home. There is also a more sinister reason that an agent might do this intentionally ... if the property is only known to be on the market by the listing agent, then that agent hopes that by hiding the home from all the buyer agents that he can "double side" the sale (meaning work with both the seller and the buyer) in order to make more money. This always comes at an expense to the seller. For the most part, I think real estate listing agents commit these errors because they have too much work on their plates and not enough time to get it all done. 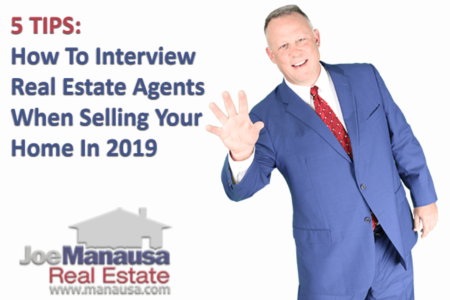 Most home sellers don't realize that their listing agent is a "business inside of a business" and that the agent is responsible for everything that needs to be done to sell the home. This could all be avoided if each home seller knew these 7 important questions to ask a listing agent. And I've never met an individual that can keep pace with a well-trained team. That is why Joe Manausa Real Estate has well-trained specialists at each position. We do not have listing agents, we have a real estate company that works collaboratively in order to ensure that we do everything within our power to help our home sellers get the absolute most money possible when they sell their home. We like to say "Why work with an agent when you can hire an entire real estate company?" It's the reasons we do not make the four key mistakes listed above, and it is why our sellers fare better than others when they sell their homes. Want to know more about our home selling plan and why no real estate listing agent can match what we do? Simply drop me a note and we'll be in touch shortly. Thank you so much David, that is very kind and we look forward to helping you when the time is right.